Joseph Esposito, a senior in the Westphal College’s entertainment and arts management program, has been skateboarding since he was eight and working with Philadelphia’s Franklin’s Paine Skatepark Fund since coming to the city, but he has a bigger vision for giving back to the sport that’s given him so much. 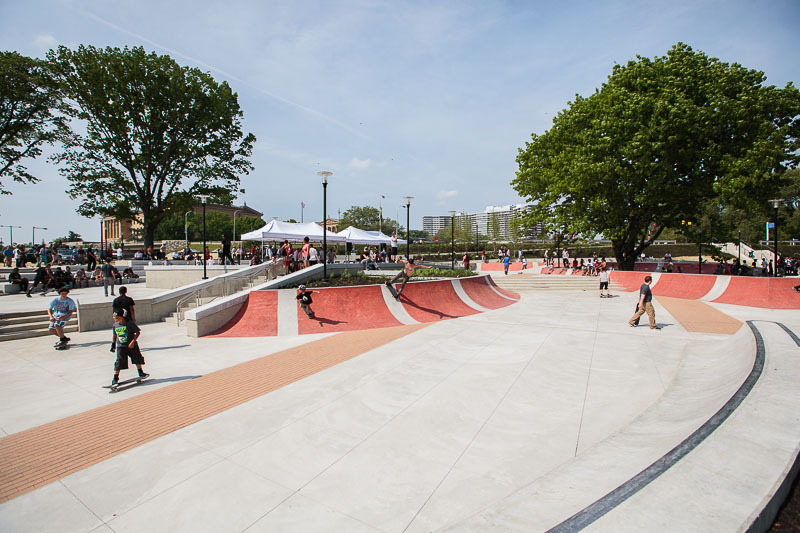 This weekend Esposito’s vision becomes reality when, for the first time, Paine’s Park in the shadow of the Philadelphia Museum of Art, becomes a celebration of street art, music and skateboarding—in hopes of giving more kids like his eight-year-old self a place to play, learn and find their own passion. First off, tell us what we can expect to see at Love on the Streets festival this weekend? Well, this is going to be a really different looking festival from typical music or art gatherings. This is the first event of this size to be held at Paine’s Park, and we want to take full advantage of the space. 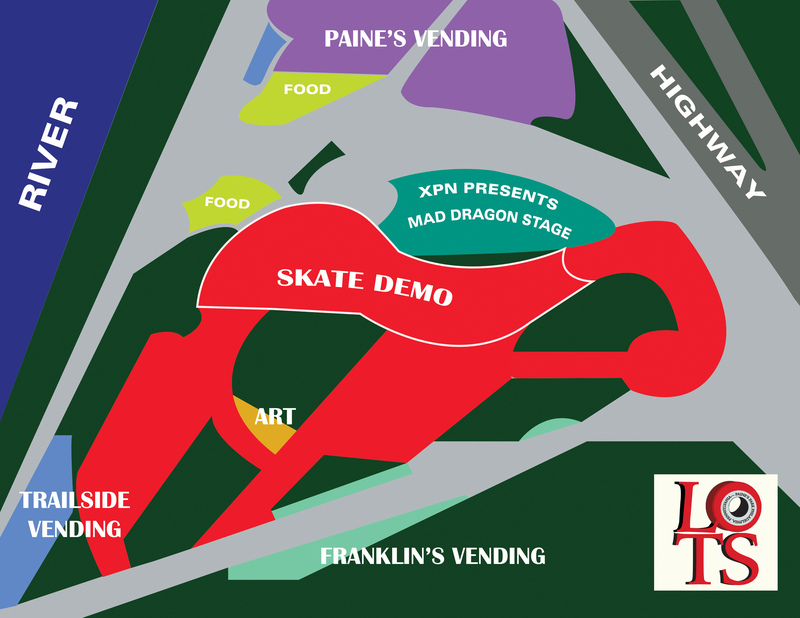 So you’ll see lots of people skating, of course, but there will also be a stage, sponsored by WXPN and MAD Dragon Records, right in the middle of it all with seven live performances by local bands throughout the day. Around the perimeter you’ll have artists of all sorts showing off their work, and this includes artists from the Philadelphia School of Circus Arts, who will put on a special demonstration during the festival. We’ll also have some skateboard demos by Team Powerfulnailya and students of the Philadelphia Skateboard Academy. And of course we’ll have vendors, food trucks and all the goodies that you’d expect at a Philadelphia street festival. So I’ve been involved with the Franklin’s Paine Skatepark Fund since going on co-op there last year and I really fell in love with what they do around the city. Their goal is to build skate parks, not just for kids to skate, but also for them to come together and take pride in their communities. FPSF does a lot of educational programming at the parks and works with members of the community to secure the space and to build the parks. I knew that for my senior project I really wanted to do something to help FPSF’s mission. And while I’ve been at Drexel I’ve done a lot of event organizing as part of my major—mostly smaller events, concerts and gallery openings. So planning a large festival and helping a cause that I believe in really made the idea click as the perfect combination. I’ve been working on it since this fall, along with Mike Canals, my co-conspirator for this whole thing, and a handful of other entertainment and arts management students, Emily Egan and John Landers especially, and Aaron Harel, a music industry student who really took charge of putting together a great lineup of bands at the festival and securing sponsorship from WXPN for the stage. What were the biggest challenges for putting it all together? The biggest challenge was making sure everyone was included. This is really the first festival that has made use of all facets of the skate park. We’re putting a live music stage right in the middle of it all, but we want to make sure that the rest of the skate park is still accessible to skaters—that sort of interplay is really what this is all about. We want groups of people who are passionate about art or skating or performing to come together and see others who are very passionate about what they do. Yes, there was a lot of paperwork that went into putting this together and I had to do a lot of explaining to bring everyone to an understanding about what this festival is all about. But there are also a lot of great people who stepped up to donate their time, money and services to make this a great event and a successful fundraiser for FPSF. What are your goals for this festival and where do you see it going in the future? First off, I hope it brings in a good amount of money for FPSF. It’s a free festival but we’re taking donations, which will all be given to the skatepark fund. If it’s a big hit, I’d like to see this become an annual fundraising event for FPSF. What we do for kids in this city in terms of building parks and educational programs around communities is just amazing. I was lucky enough to grow up in a neighborhood in New Jersey where I had a park and an opportunity to explore my passion for skating, but not everyone has that outlet. If this festival helps to make FPSF’s vision more sustainable, then I’d be ecstatic. I also think that this is something that could work in other cities and other parts of the country, and I could definitely see myself helping to start similar festivals in other areas. For media inquiries contact Britt Faulstick, news officer, at bef29@drexel.edu or 215.895.2617.